Tested, used and highly recommended by the top bed linen manufacturers. 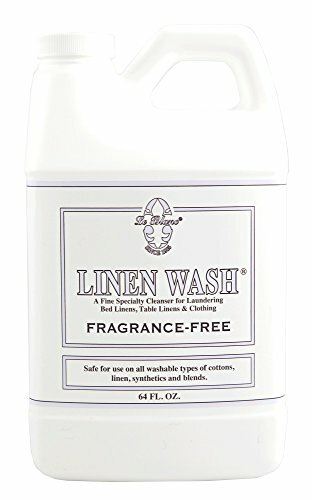 Le Blanc® Linen Wash® is an exceptional cleanser designed for everyday laundering of all washable and colorfast household linens and apparel. It contains properties for disinfecting in cold water while lifting tough stains caused by food, dirt, blood, make-up, and more. Le Blanc® Linen Wash® is formulated to protect fibers while preserving the original beauty of fine textiles and apparel. Linen Wash is available in five exquiste fragrances.